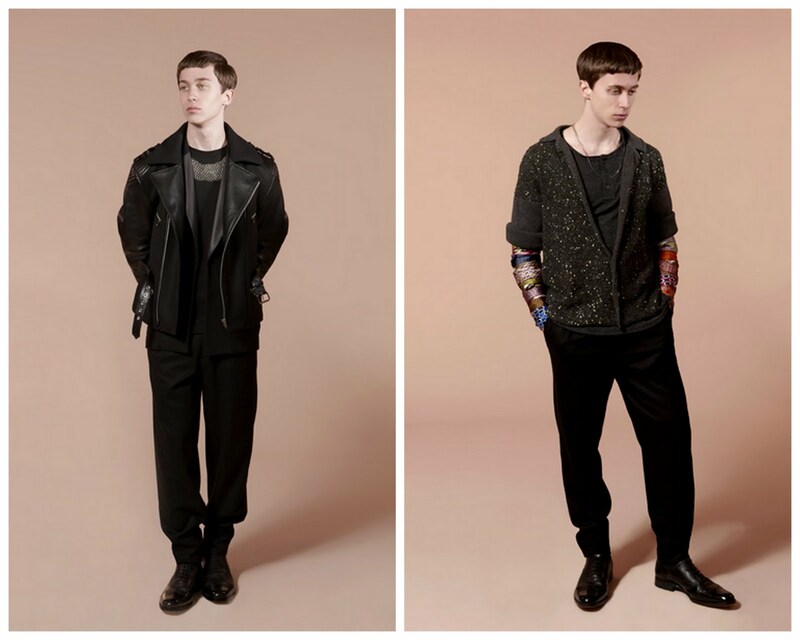 All eyes on Casely-Hayford's AW10 collection, A Darker Shade of Black. Back in February I was fortunate enough to inspect a number of pieces from Casely-Hayford's Aw10 collection at my dream walk in wardrobe, the Showroom Next Door. This Touba Distribution curated showroom granted me the opportunity to catch a glimpse and cop a feel of a number of my favourite brands and introduced me to a few new ones along the way. I spent the best part of two hours fully immersing myself in the new collections of Mr. Hare, Casely-Hayford, H by Harris and Bruno Chaussingnand before being acquainted with Japanese denim specialist Sable Clutch and amazing knitwear by The Inoue Brothers. However, I spent most of that two hours around the Casely-Hayford display. Since that February afternoon I've been excitedly awaiting sight of their look book and after a few months of leg twitching and finger tapping my limbs can now rest easy. I caught up with Charlie Casely-Hayford for an exclusive interview and first look at the images for Dazed Digital but I'd like to pore over the images and text once more with you. 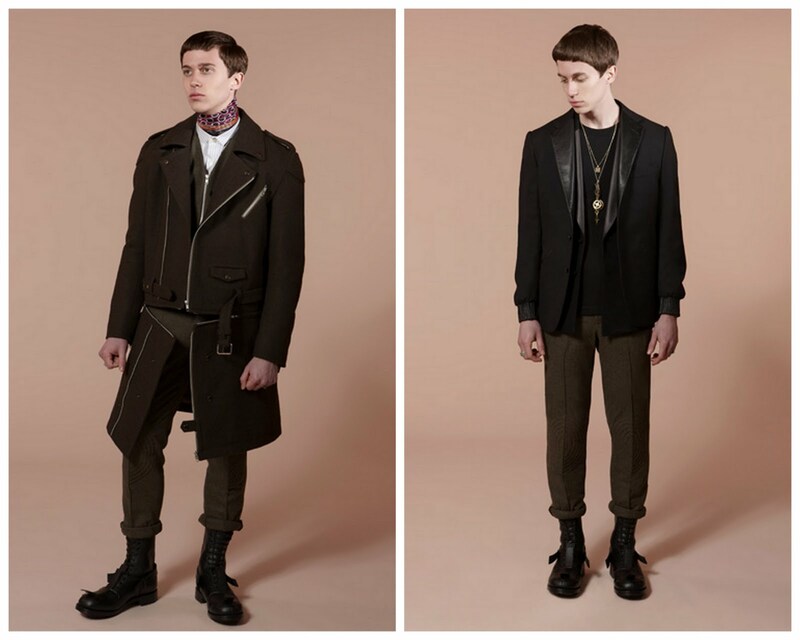 For their fourth collection, Casely-Hayford explore the boundaries of black hues. Having forged a strong design house signature combining fine tailoring with elements of sportswear and the spirit of London’s youth culture, the Casely-Hayford vision is translated into a new statement for Autumn/Winter 2010. This season Casely-Hayford reassesses ideas of masculinity, drawing influence from Military uniforms and revisiting the darkened sensibility of Afro Punk (the 'hankersleeves' of SS10 make a welcome return). The Afro Punk is now encased in armour. 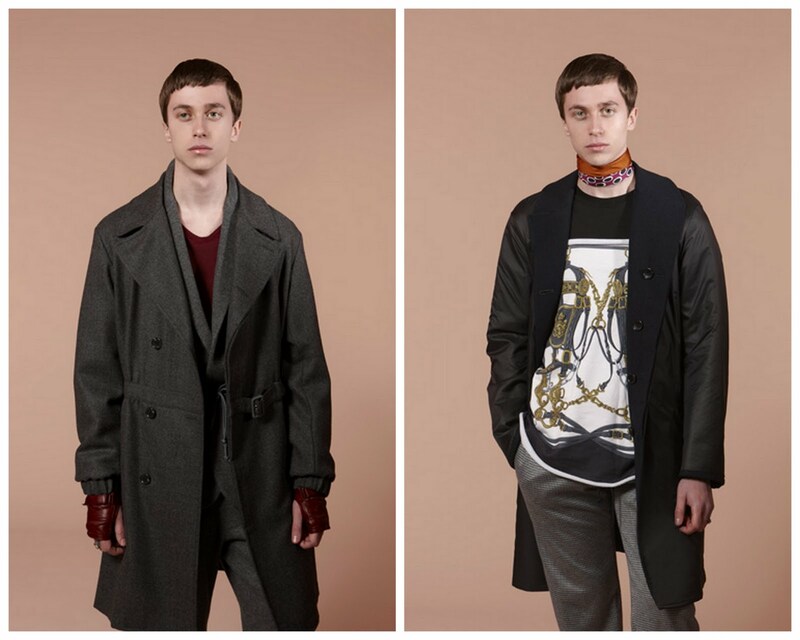 The father and son design duo have undoubtedly built on the successes demonstrated in their first three offerings with a fully drool inducing fourth collection. I bumped in to Charlie last month and he hinted that this was the collection they wanted to make when they launched the label. Having spent a good half hour marveling at the collection in the showroom and having now seen it in its entirety, it is easy to see why. 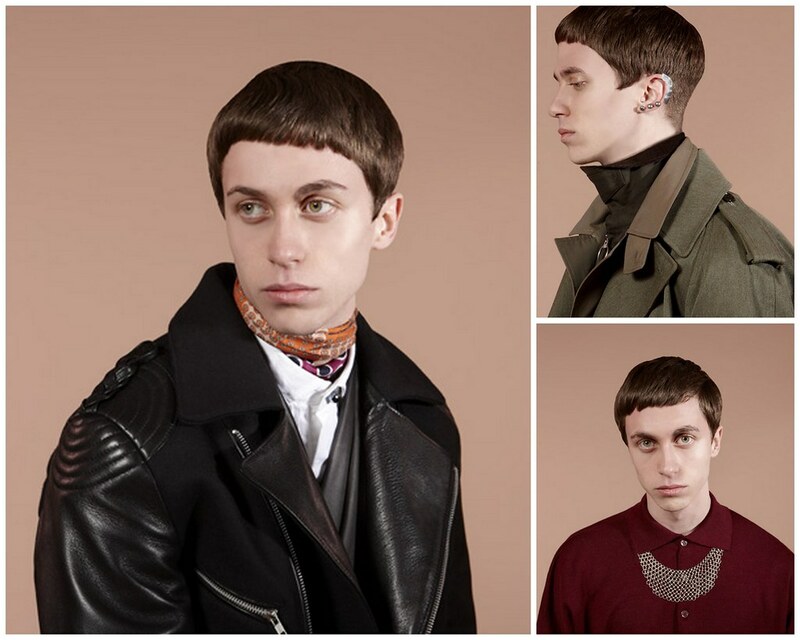 With each season, the design duo begin with the desire to capture, play and experiment with the duality of English Sartorialism and British Anarchy. In creating a new collection their driving motivation is to capture the feelings of an ever-changing environment and to communicate society's natural inclination to move forward. The clothes start from a traditional stand point, but rather than being nostalgic and whimsical, we choose to reflect the spirit of 21st century gentleman - a character conscious of many reference points yet someone who chooses to distill his style into a concise statement. Things have moved on since the days of the Duke of Windsor, and although he is a great inspiration and a foundation for the brand, the modern sartorialist has a different appetite. Their requirements, desires, and practical needs are frequently drawn towards a synergy between the formal and athletic. For this collection, the duo include the requirement and need of protection. This sartorial cocktail is seen runs throughout the outerwear, tailoring and accessories. There is always a narrative at the core of what they do, connecting each collection to the last and making foundations for the next. For this season the pair examined the recession and discussed how people subconsciously react to it on an aesthetic level. "AW10 started out as a discussion between the two of us about the recession and how people subconsciously react to it on an aesthetic level. The importance of body armour as a form of protection stimulated ideas about re-interpreting outerwear. Black felt like a natural principle colour to express what we wanted to communicate, and this was how we came to combine military clothing with evening wear as one of our lead looks." The main reference points were cultural signifiers that captured strong ideas of masculinity. It was about reasserting a physical representation of strength and sartorial gravitas during bleak times. 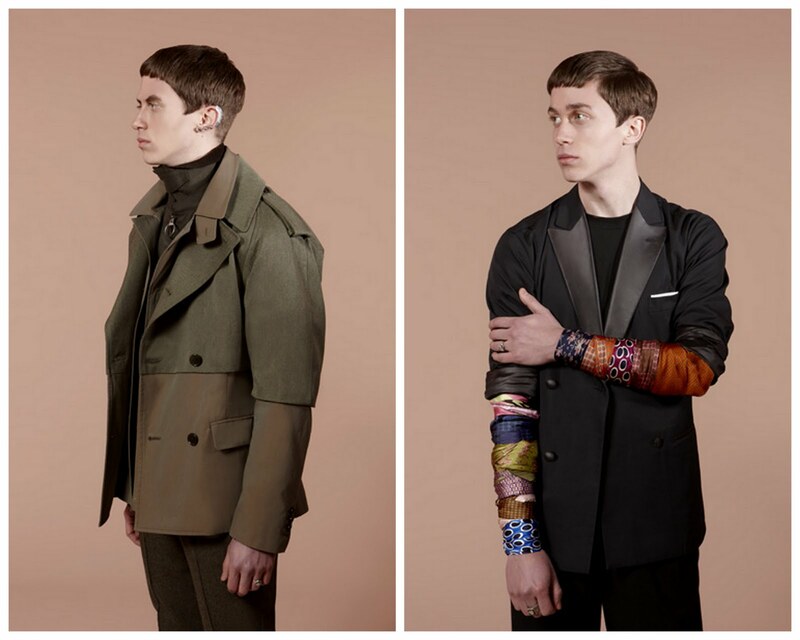 The duo turned to military paratroopers, boxers, bikers, traditional English Labourers and added formal evening wear into the mix and then began to dissect and rebuild their parameters. All of their influences reflect men with a strong sense of self and pride. 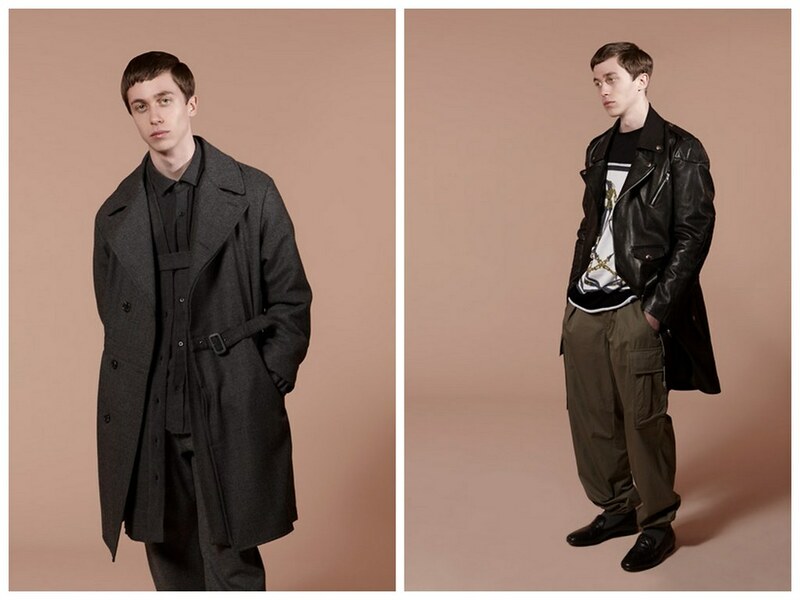 "My favourite piece is probably the 'Storm Trooper' jacket - a take on the traditional Donkey jacket. It fuses elements from two extremes of British society within one garment. The outer shell is a donkey jacket formally worn by English labourers and later adopted by skinheads and punks as a symbol of British working class pride. The leather shoulder panels were often used as protection against wear from carrying a shovel or hod on one's shoulder. The inner garment is a classic English Huskey style waistcoast worn most commonly by English aristocracy on country shoots. Together in one garment English Sartorialism and British Anarchy stand true." Charlie Casely-Hayford on his favourite piece. The collection focuses on layering and ornamentation, exploring notions of the trans-cultural nomad: a constant traveller whose identity is shaped by the multitude of cultures which surround him. Various shades of black are heightened through the extensive use of Midnight Blue and Metallic grey. The monochromatic palette places emphasis on the importance of the Casely-Hayford silhouette with its dramatic proportions. Themes which define the house spirit include the use of more textured surfaces on outerwear garments. Washed finishes soften the mood of the collection, adding a less structured feel to its overall appearance. Bespoke sartorial methods are combined with technical detailing and it is one happy and aesthetically marriage indeed. Alongside their ongoing interest in light weight fabrics, a new ’Body Armour’ aspect is introduced to outerwear. The Riot shield jacket Parkholme features a protective quilted detachable front panel. 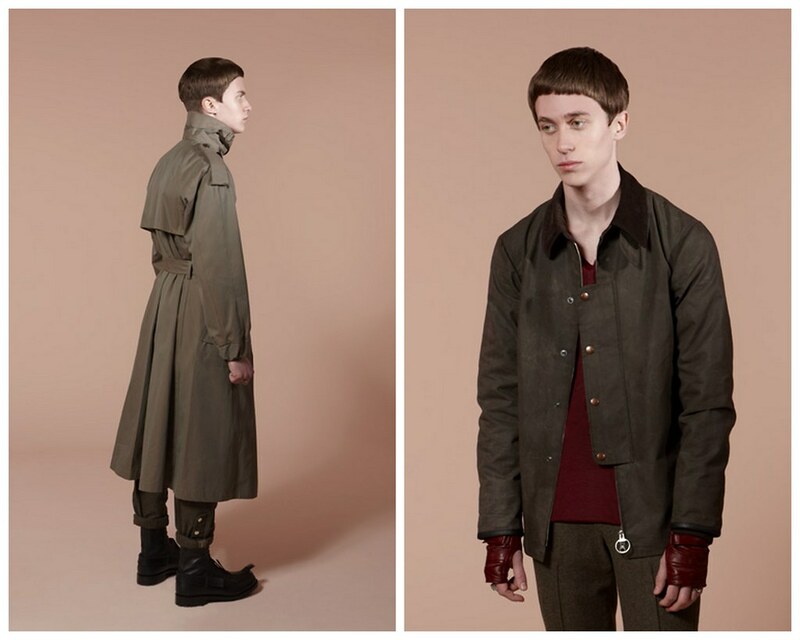 Ashwin, the Storm Biker’s Coat is made from 1000 grams Melton, giving it an authentic and practical Military handle. This season the concept of evolving jackets into shirts moves forward, with a new interpretation of the popular Trench Shirt, and the waxed functional English Field jacket also takes on shirt proportions. Their formal wear proposal continues its casual theme with a beautifully realised Shirt Dinner Jacket, which embodies the brand duality of English sartorialism and British anarchy. The light graphic ‘Equestrian’ jersey print which adorns the Jackson trousers, New Moon slouchy jacket, and Beechwood sweat top, stands in stark contrast to the gravitas of the powerful Midnight Blue and varying shades of Black. Here boundaries of masculinity are challenged with the decorative print and sequined Colebrook knit jacket, set against hardware black boots by Casely- Hayford for John Moore. 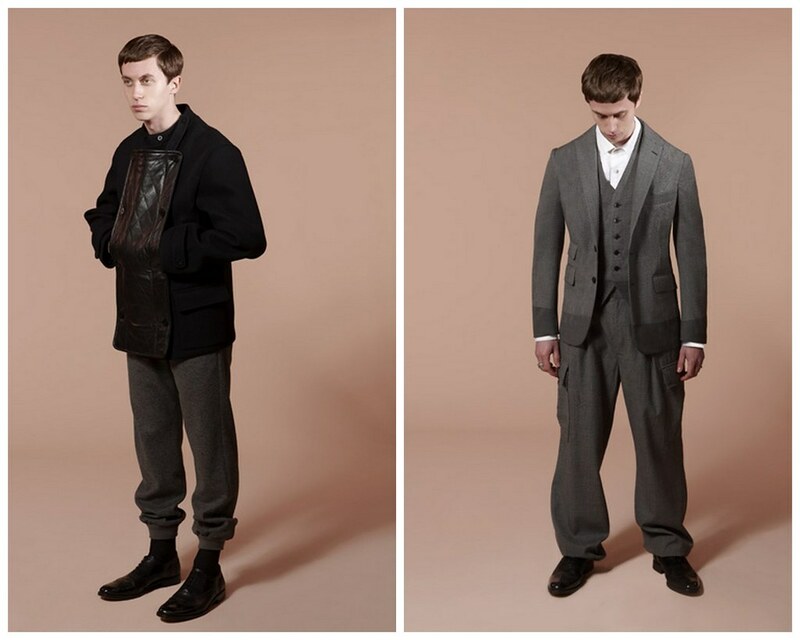 Casely-Hayford’s quintessential slouchy jersey suit re-emerges with a looser form and more fluid silhouette. The tailoring once again fits perfectly with my current sartorial aesthetic. The collection begins to touch on an aesthetic shift from one decade to the next, harnessing ideas of Futurism and Minimalism, experienced through sleek lines and muted block colours. The collection builds on the sportswear and tailoring mix by adding military influences both in terms of the battle friendly palette and the armour like finishing details. 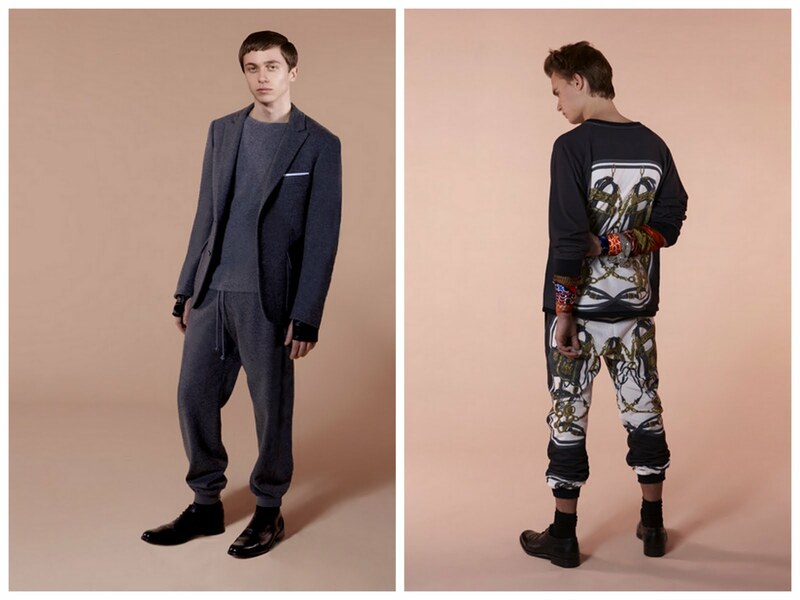 Quite simply this is the collection that Casely-Hayford have wanted to make since launching the label and this is the collection we all wanted. It will be available at the recently opened menswear store on Redchurch Street Hostem and the ever amazing Dover Street Market. If you want to read my interview with Charlie in its entirety please do head over to Dazed Digital. Look Book credits: Photography by Katinka Herbert and assisted by Christopher Kennedy. Art direction by Casely-Hayford & Son and assisted by Christopher Amfo-Okampah. Such a strong collection, love it all! What is...that thing on his arm? Dam: Glad you like it, it is one of the real highlights from the AW10 collections. 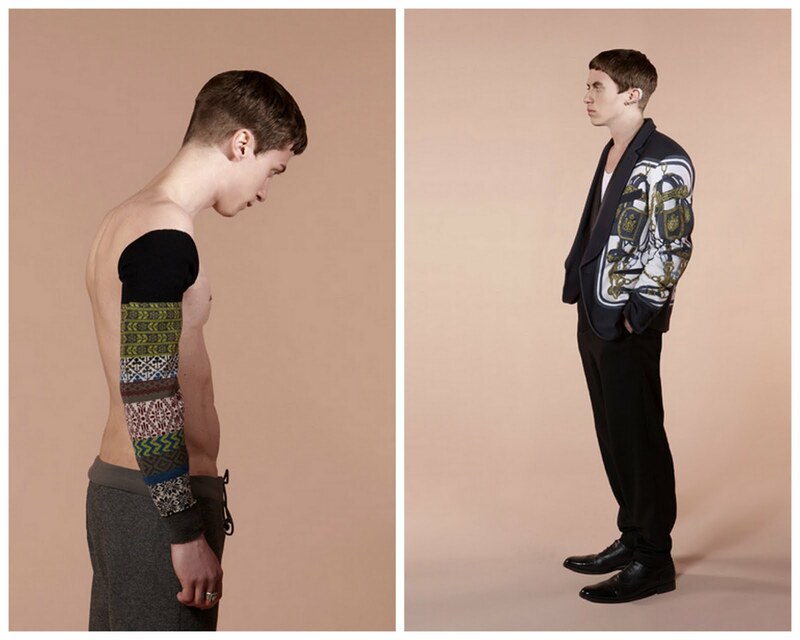 TheSundayBest: The Hankersleeve or the knitted sleeve? I'm not sure I have the body to wear it quite like the last model but I'd love to style it in my own way. as i mentioned, this is a brilliant collection. excellent mix of fabrics, cuts, styles....it's got it all. it's my top now! I could not help but fall in love with these clothes! Where can I purchase them?! Love it and couldn't resist it!